This is designed to provide higher strength and security thus still providing quick and easy operation by hand. Places most suitable include counters, doorways, shop fronts, bottle shops, sporting complexes etc. 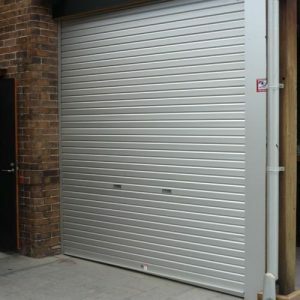 The smooth line aluminium roller shutter will be as manufactured by 3rd Generation Doors. 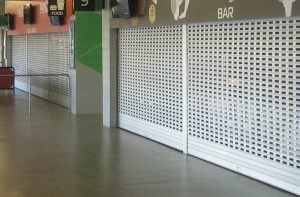 The curtain will be constructed using extruded aluminium anodised interlocking slats of 63mm or 100mm in height and designed to roll up overhead, manually. The curtain will be constructed using extruded aluminium interlocking slats, having a face depth of 63mm or 100mm by 1.5mm thickness. A nylon end clip will be fitted to each alternative slat to stop lateral movement and to provide smooth operation within its guides. The bottom rail will be a specially extruded aluminium section measuring 120mm in height by 2mm thick. It will have incorporated within the body of the bottom-rail a "mortise" type locking system. Centre the centre door mullions will be used for wide openings and multiple door installations. The centre door mullions will be manufactured from specially extruded anodised aluminium sections having a minimum width of 125mm by 30mm depth. The mullions will be a lift-out type fitted with shoot bolts locking at the bottom of the mullion. Individual shutters are manufactured up to 3 meters in height or 3 meters in width without exceeding 10 meter square. 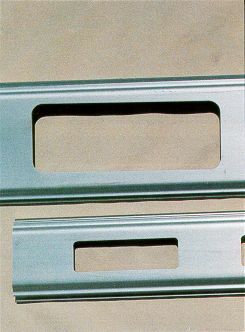 All aluminium sections are natural as standard. 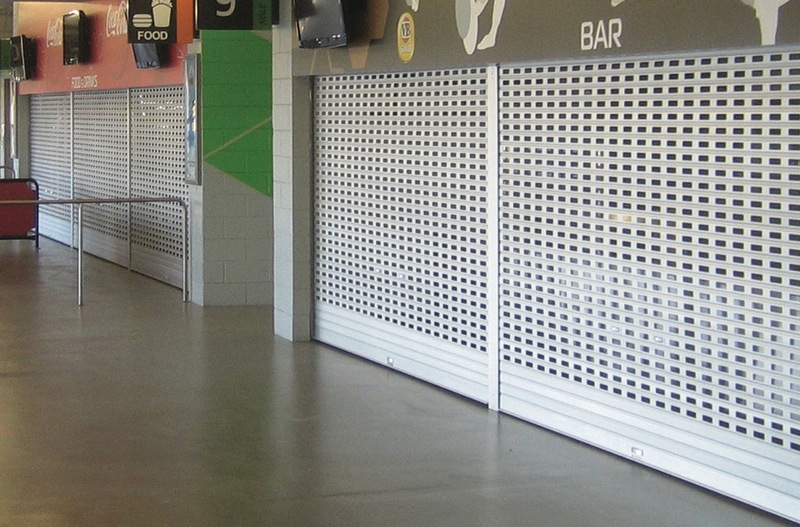 A wide range of colour anodising or polyester coated finishes are available when specified. Ventilation the interlocking slat can be slotted, to any number of slats. Vision panels the interlocking slat is slotted and a clear acrylic infill panel is fitted into the specially formed recess on the slat.